I'm wondering if the rear wheel pivots. There was one called a "Swing Bike". I haven't seen something like this. It is look good. 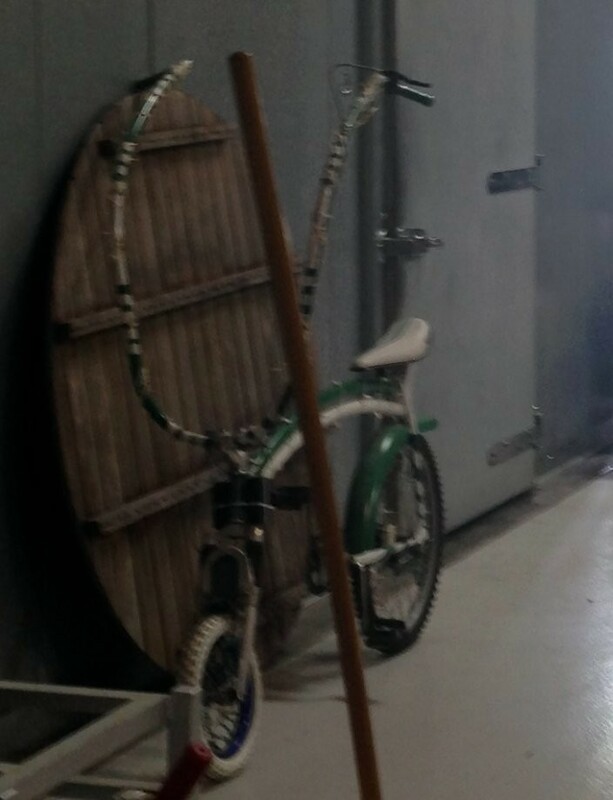 It is the swing bike from the mid 70's. Cool bike that you can swing the rear wheel and turn the front one for some side riding and crazy tight turns. I don't remember that being a Schwinn. Can anybody confirm or deny the maker or brand? It is definitely a "Swing" bike. Someone commented somewhere that it was the most dangerous thing ever. That he fell so quickly off of it he didn't have time to get ready for impact. Interesting. A lot of the modern circus ones have cranks-on-axle unicycle-style rear wheels, didn't realize there had been a chain drive version. Wonder if it's freewheel or fixed gear? Are those springs on the Swing to maintain tension when standing on it? Looks to me as if the springs tend to keep the rear half in line with the front half. 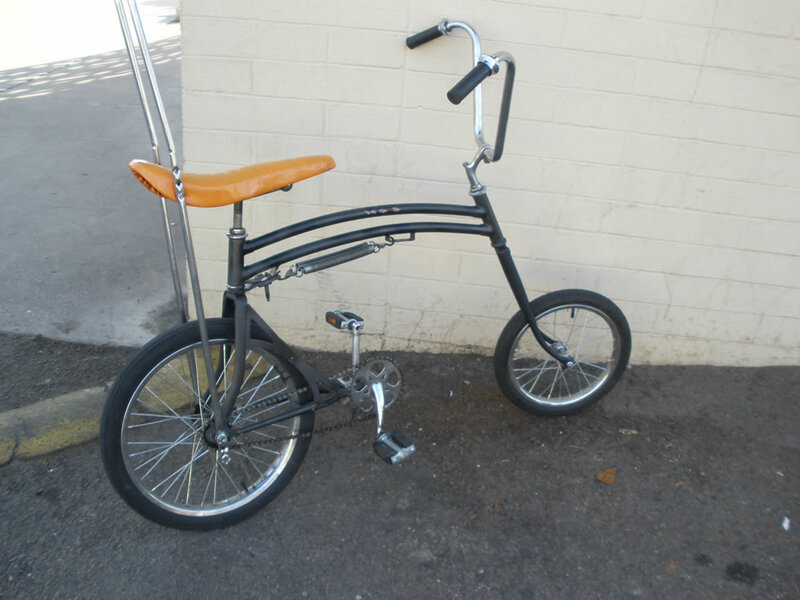 Maybe a modified swing bike.